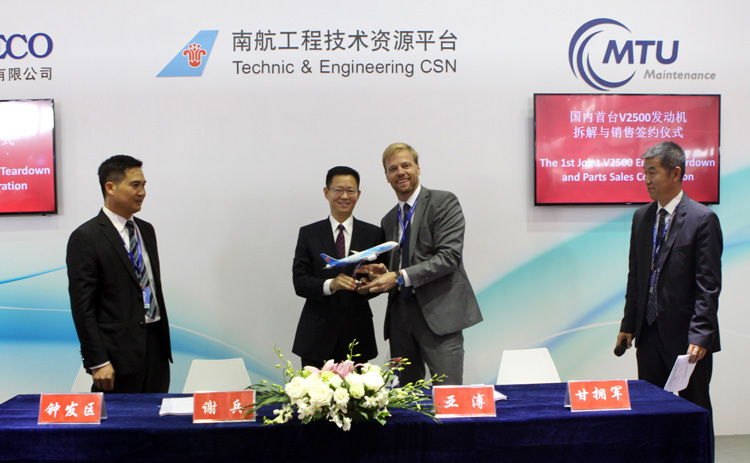 MTU Maintenance Zhuhai signed a number of agreements at the Zhuhai Airshow in China this morning. 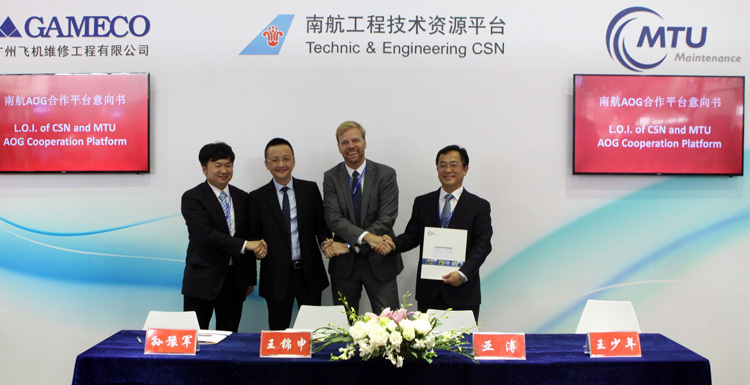 The first was a five-year agreement with longstanding customer Hainan Airlines for V2500 MRO services. 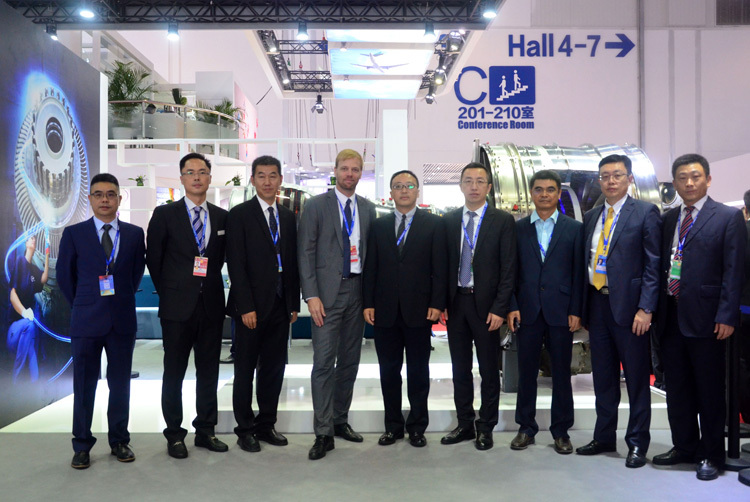 Hainan Airlines and MTU Maintenance Zhuhai have worked together on CFM56 engines for well over ten years and are now expanding their cooperation to include the V2500 engines powering the airline's A320 fleet. Beyond the agreements signed today, contracts were signed with both Vietnam Airlines for V2500 engines and VietJet Air for their CFM56-5B engines earlier in the year. These are MTU Maintenance Zhuhai's first contracts in Vietnam and a significant milestone in becoming the market leader in Asia. In total, the above mentioned contracts are estimated to have a value of over 500 million US dollars. MTU Maintenance Zhuhai is located in Zhuhai's free trade zone and benefits from its proximity to Hong Kong, Guangzhou, Shenzhen and Macao. Service teams can be dispatched to the customers in the region in no time. The Zhuhai shop has an advanced machinery and performs 80% of parts repairs in-house. MTU Maintenance Zhuhai serves customers from China, Asia and around the world and has completed 2,500 shop visits in 17 years of operation. 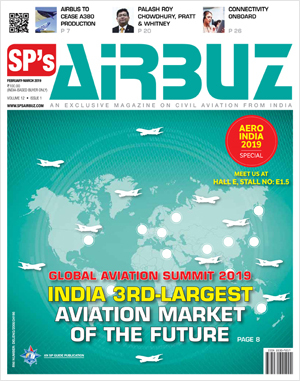 In addition to China Southern, the facility serves over 70 customers, including International Aero Engines, All Nippon Airways, as well as Chinese Shenzhen Airlines and Xiamen Airlines. Last year, over 50 percent of the engines sent in for a shop visit came from airlines based outside of China. 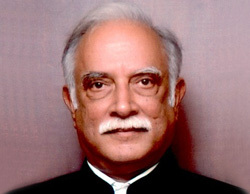 The company employs a workforce of around 850 qualified professionals.